The scenic beauty and picturesque landscape of Queenstown often encourage visitors to plan long road trips and camping expeditions. The reliable campervan hire companies in Queenstown like Camperco have further made it easier for the tourists to pick clean, comfortable and well-designed campervans according to the size and needs of their groups. There are many visitors who find it a daunting task to fit the recreational vehicle into a confined parking space. You can always consider some simple tips to park the campervan without any hassle. When you decide to park you camper during the road trip, it becomes essential to look for wide-open space to park the vehicle more conveniently. It is also important to choose an area that is flat to avoid parking the campervan on an incline. At the same time, you also need to ensure that parking your camper in the area is legal. You can even consider parking the RV at areas signposted as parking space. 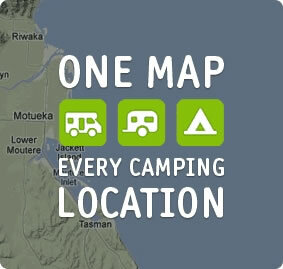 When the campervan is positioned properly, it will be easier for you to pull in. You must position the vehicle properly by ensuring that the power connections are on the appropriate side of the vehicle. There are also chances that you may have to pull the camper out, if it is not positioned properly. You will further need assistance to park the camper more conveniently. It is always important to make someone from your group act as a spotter, and watch you park by standing outside the vehicle. The spotter will guide you into the parking space, while preventing you from hitting anything. While parking the campervan, it is also important to use your mirrors while fitting the vehicle into the space. At the same time, you must listen to the spotter to ensure that the vehicle will not heat anything. Finally, you have to navigate the camper into the parking space by turning the wheels slowly. After parking the camper, you can complete the task by engaging the vehicle’s parking break.